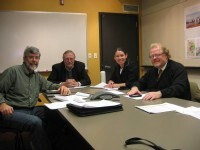 Earlier this year I was invited to join the Minnesota Main Street Steering Committee. With my board’s approval, I have begun to attend the monthly meetings. As some of you know, the Main Street Program was started by the National Trust for Historic Preservation back in 1977. The program emphasizes Four Points: Organizing, Promoting, Designing, and Restructuring. The NDDC has followed this approach from its founding in 1999. Since the program’s inception, 43 states have launched state-wide Main Street Programs. In 1983, Minnesota joined the Main Street Network. However, by 1995, state support for the Minnesota Main Street Program ended. A group organized by the Preservation Alliance of Minnesota is working to restore the Main Street Program to Minnesota. 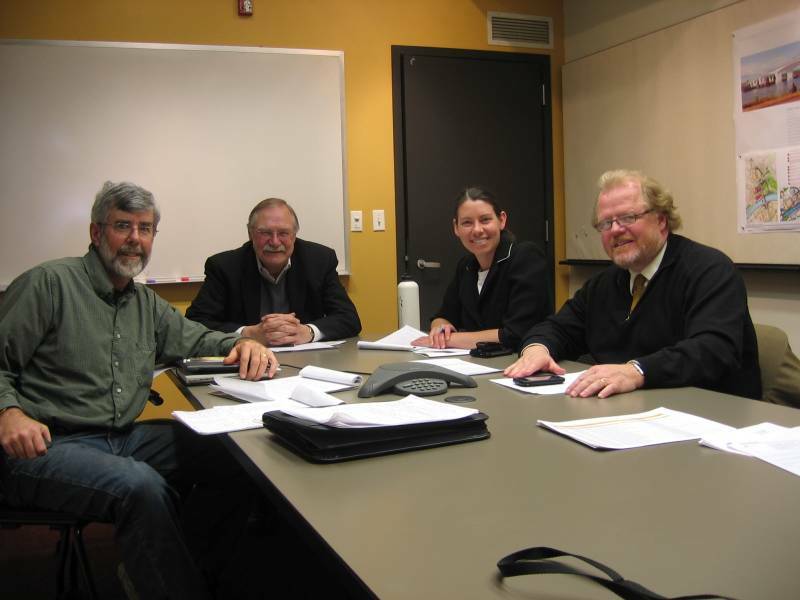 Seated from left to right are Tom Balcom of Mill City History Associates, Royce Yeater of the National Trust for Historic Preservation, Bonnie McDonald of the Preservation Alliance of Minnesota, and Tim Griffin of the St. Paul Riverfront Development Corporation. Other individuals from around the state participated through a conference call. In my discussions with peers from around the country at the annual Main Street Conference, I’ve seen how a state-wide program can help support our older commercial districts. I’m pleased to be part of these efforts in Minnesota.